The Protect 1206i - Counter Surveillance Device has everything you need to protect your property from unwarranted surveillance. You can use it to find audio bugs, hidden cameras, wireless tracking devices, and even cell phones that might be spying on you. The device can even detect hard-to-find signals like Wi-Fi and Bluetooth devices. Protect your personal privacy with the Protect 1206i - Counter Surveillance Device. If you’re worried that someone may be spying on your home or business, the Protect 1206i - Counter Surveillance Device will give you some peace of mind. 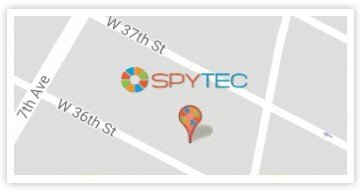 You can use it to locate just about any kind of surveillance device, including analog and digital devices. It can detect audio bugs, hidden cameras, GPS trackers, cell phones and other recording devices with ease. After a quick search, you can rest assured that no one is recording what you say or do. The Protect 1206i - Counter Surveillance Device can even uncover Bluetooth and Wi-Fi devices. These kinds of surveillance devices can be hard to track because they don’t use a lot of power. The Protect 1206i - Counter Surveillance Device uses a separate channel that’s specifically designed to recognize Bluetooth and Wi-Fi devices. You will feel more at ease knowing you can detect any kind of signal that’s in range of the device. When the Protect 1206i - Counter Surveillance Device detects a signal, it will send you an alert by beeping or vibrating. You can change the alert settings on the device based on your personal preferences or turn off the alerts all together if you’re trying to be discreet. With real-time alerts, you don’t have to worry about missing a signal. Just keep your eyes on the device and the Protect 1206i - Counter Surveillance Device will point you in the right direction. The Protect 1206i - Counter Surveillance Device is also extremely portable. It comes with two AAA batteries that will power the device up to 20 hours. You don’t have to worry about the device losing power in the middle of a sweep. If you need to use the device for more than 20 hours, you can always bring along an extra pair of batteries. Overall, the Protect 1206i - Counter Surveillance Device is extremely easy to use. Just insert the batteries, turn it on and point the device around your home or office to see if there are any bugs hiding nearby. You don’t need to be an expert in counter-surveillance to use the device. You can find out if anyone has been snooping on you, your loved ones or colleagues in just a few minutes. When it comes to protecting your privacy, the Protect 1206i - Counter Surveillance Device won’t leave you disappointed. It can detect almost any kind of surveillance device without making a scene. Keep your home or business secure with the Protect 1206i - Counter Surveillance Device. Products purchased online or from an authorized retailer and under warranty qualify for an exchange with a valid receipt. Warranty service is handled entirely by KJB Security. Frequency range, Antenna #1: 50MHz – 12Ghz.